Get ready to make, play and discover with the Nintendo labo toy-con 03: vehicle Kit, which puts you in the driver's seat of a car, Submarine, and Plane! 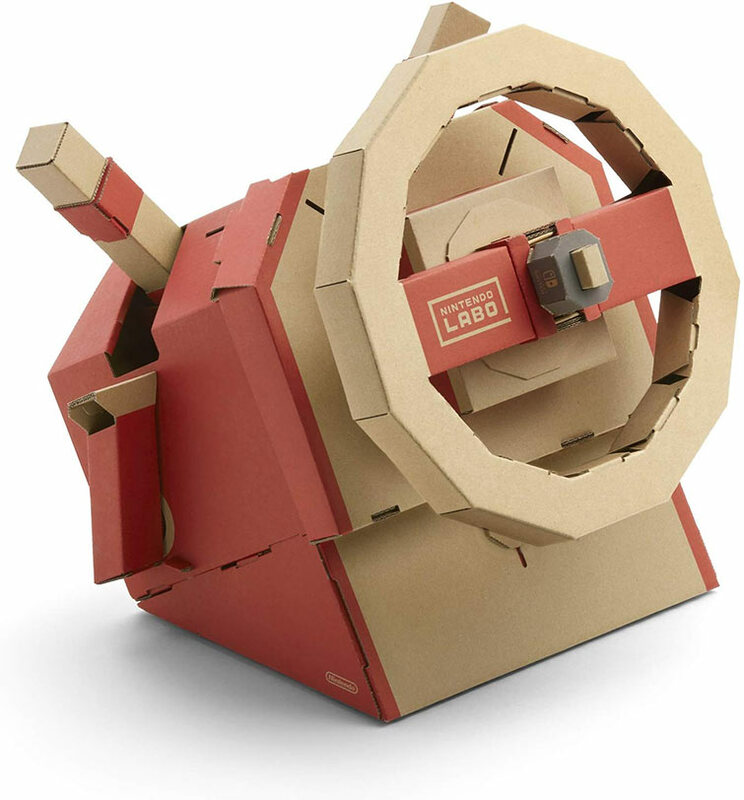 Nintendo labo is an innovative line of family-friendly diy Kits for the Nintendo Switch gaming system. Make customizable cardboard creations called toy-con, play fun games with them, discover how they work, and invent new ways to play. All required building Materials and accessories are included, and each kit's unique packed-in Nintendo Switch software provides interactive build instructions, games, and more -all you need to add is a Nintendo Switch Console and its pair of Joy-Con Controllers! see your creations come to life as you speed through races, battle special cars equipped with extendable punching Arms, explore and interact with a mysterious world, and more. Get ready for hours of engaging, inspiring, family-friendly diy fun! My nine-year-old son was my primary partner in this review (occasionally joined by his four-year-old sister, who just really wanted to fly that plane), and from his perspective, the gentle pace and steady exploration afforded by Adventure Mode was immensely appealing. 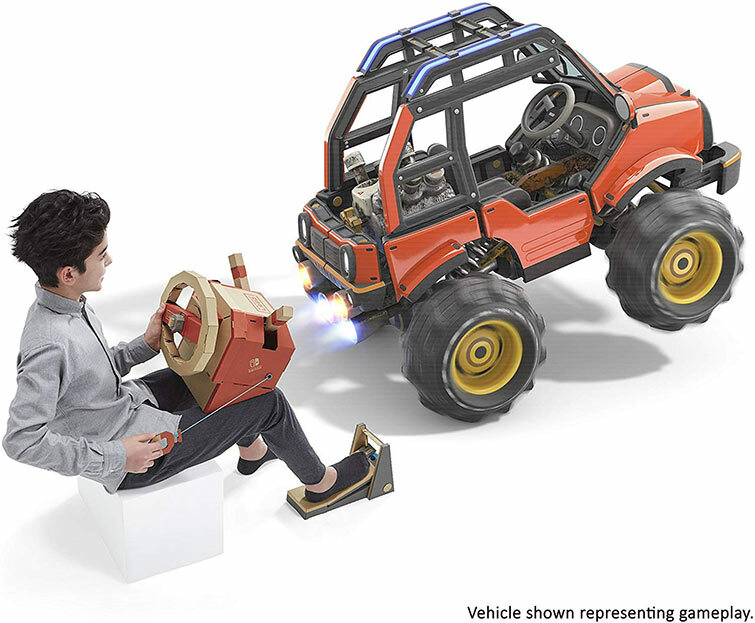 Nintendo Labo's Vehicle Kit certainly isn't for everyone. But if you have a curious, excited child, then it might be just for you. 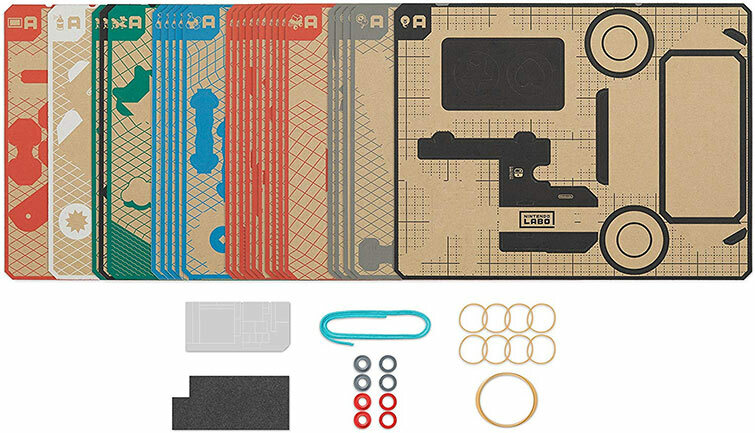 If you love constructing things and have a garage attached to your home, then these concerns are going to be less pressing, making this new Labo kit easier to recommend. If space is at a premium in your abode, it pains us to say that you might want to think twice about investing both the money and time into this otherwise noble venture. If you had a similar feeling to what I did, don’t let that previous experience prevent you from trying out this new offering. Whether Nintendo learned some lessons during the first run or if the extra time in development allowed them to release a more polished experience, I’m not sure. 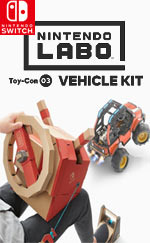 But what I do know is that the Labo Vehicle Kit is miles ahead of its predecessors and has made me excited again about the future of this franchise. It speaks volumes for the future of Labo and everything it has to offer, especially since there's a limitless world of possibilities as to what could possibly come next. 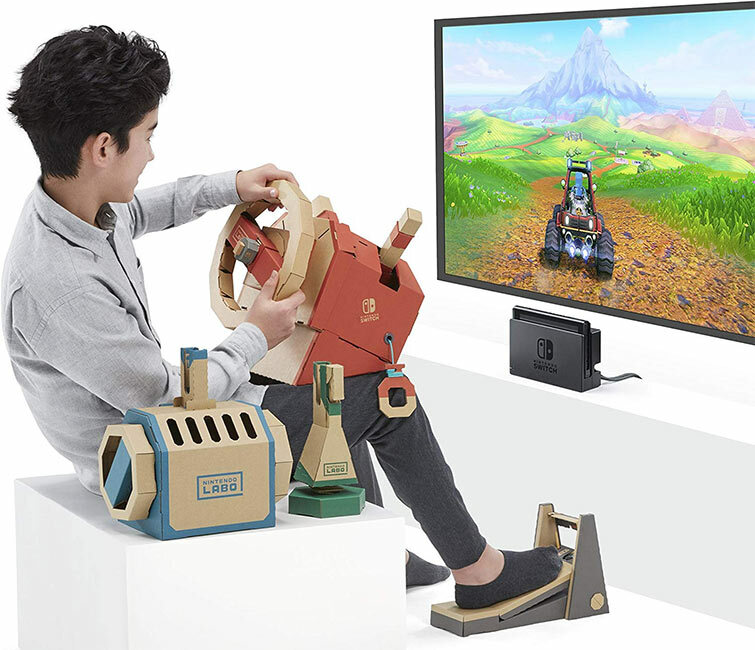 It looks like, for now, Nintendo has nailed the vehicular aspects, however, and I can't wait to see the next project that comes through the finish line. Finally, while the game is aged 6+ we would highly recommend that no-one this young attempt to build the Toy-Cons, certainly not on their own, and play should probably be supervised to begin with as learning how to navigate the Toy-Con's various movements could prove frustrating and may result in broken cardboard. Nintendo Labo Toy-Con 03: Vehicle Kit is the most challenging and intriguing to piece together so far, and the set that has the most longevity - their software/adventure pieces may not be the most in-depth RPG/open-world fest, but it's fun and puts the kit to good use. The wheel and joystick, in particular, are what's likely to carry momentum going forward - the Toy-Con that could easily be applied to future games and concepts. Es wird zwar dadurch aufgewertet, dass man in der Toycon-Werkstatt mit Alltagsgegenständen eigene Ideen verwirklichen kann - allerdings schon wieder ohne Online-Tausch wie bei Sackboy oder dem Wii-U-Original von Super Mario Maker. Am 19. September erscheint übrigens ein Update, nach dem sich Lenkrad und das Gaspedal auch mit Mario Kart 8 Deluxe nutzen lassen. Il est néanmoins regrettable de constater que les mini-jeux fournis peinent à convaincre malgré de bonnes idées. Si créer ses propres accessoires en carton pour conduire virtuellement différents véhicules a de quoi séduire sur le papier, les boîtes risquent d'être trop rapidement rangées une fois les premières heures de découverte passées. Het beste deel blijft het bouwen van de vervoersmiddelen en uitvinden hoe vernuftig ze werken. Simpele oplossingen als een elastiek dat weerstand geeft of reflecterende tape, laten je steeds benieuwd zijn naar hoe je de volgende uitdaging bouwt. De duikboot daarentegen kun je gerust overslaan. Toch is Labo de moeite waard wanneer het bouwen van dingen jouw interesse heeft. Dit is ook een leuke leergelegenheid voor jonge kinderen.